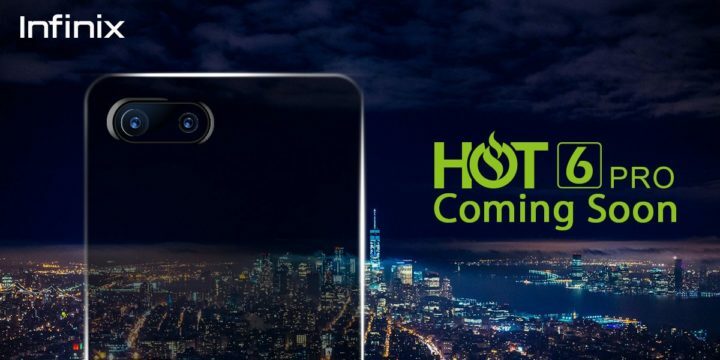 It no doubt that the launch of the upcoming Infinix Hot 6 series is just by the corner. 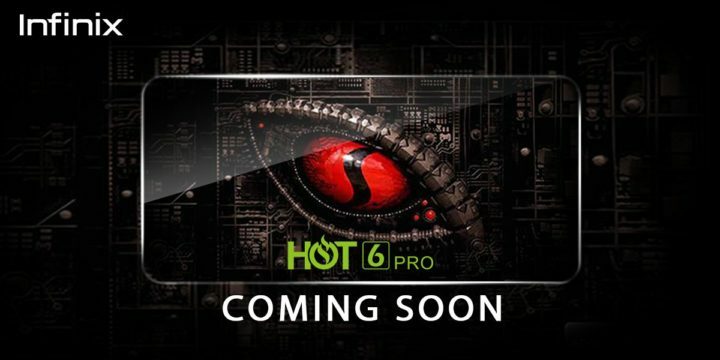 The company has been teasing the higher end Hot 6 Pro since last week. And in today’s story, we came across a live image, supposed to belong the the upcoming Infinix Hot 6 Pro smartphone. Like the leaked images, the device bears a dual rear camera fitted at the top right corner of the device, along with what looks like a single LED flash. The more interesting thing however, is the fact that the tipster also shared with us the expected specifications of the device which includes; a 6.0 Inch Screen HD+ display, with 18:9 aspect ratio, octa-core Qualcomm Snapdragon 425 CPU and Adreno 506 GPU. The Infinix Hot 6 pro will be available in two variants; a 2GB RAM and 16 GB internal storage and a 3GB RAM and 32GB internal storage. As mentioned above, the Hot 6 Pro will feature dual rear cameras, hosting a 13-megapixel main camera and a 2-megapixel telephoto sensors. For the selfie lovers, the front facing camera will be a 5-megapixel sensor along with LED flash. The device will be fueled by a 4000mAh built-in battery. 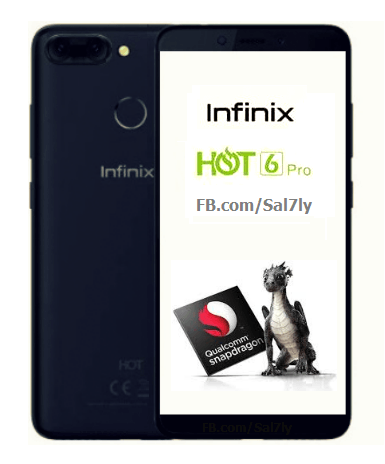 It is important to note that the above specifications is for the Infinix Hot 6 Pro. It is expected that the standard Hot 6 and the Hot 6 Lite will run on MediaTek processor in order to maintain low pricing for the device. Few more important info that is still missing is launch date, and pricing. And when we do have that, we’ll shout it to you, so ensure to stay with us.